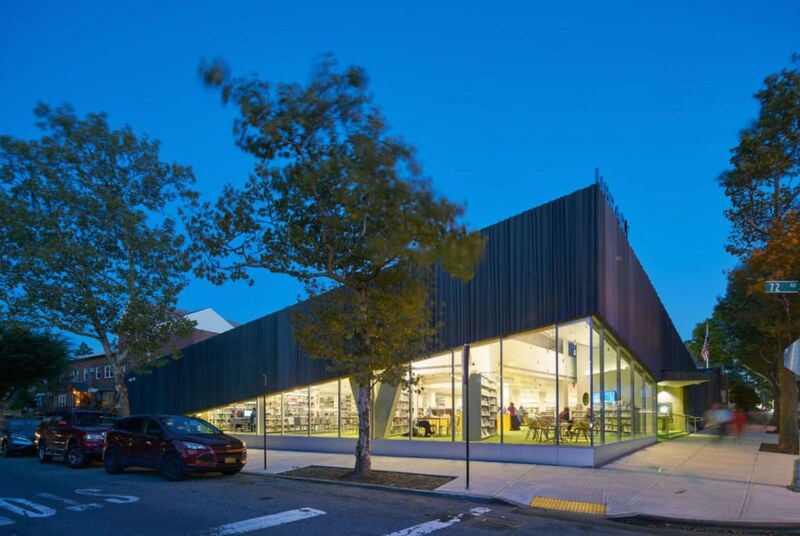 A branch library in New York City is luring the community indoors with a clever facade that lifts up at the corner to reveal glimpses of the happenings inside. 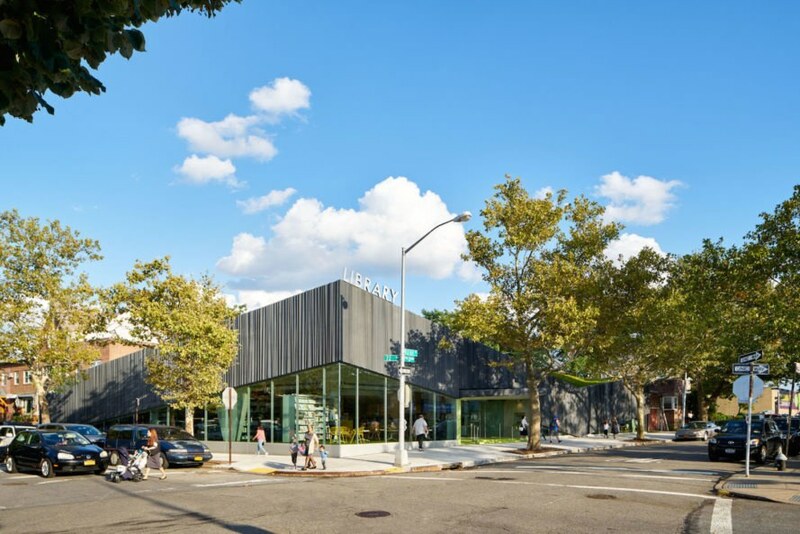 Local firm Work Architecture Company recently announced the long-awaited opening of the Kew Gardens Hill Library, a key institution in the diverse Queens neighborhood. 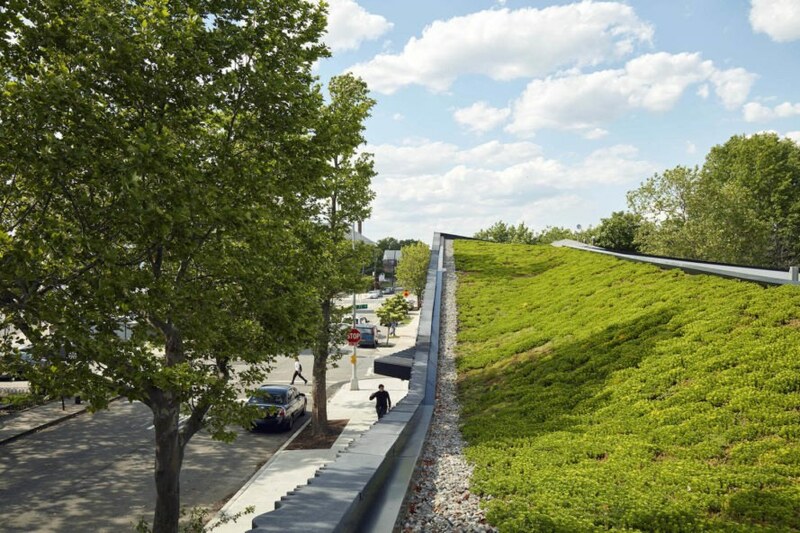 The renovation and expansion project is filled with natural light and topped with a large green roof. 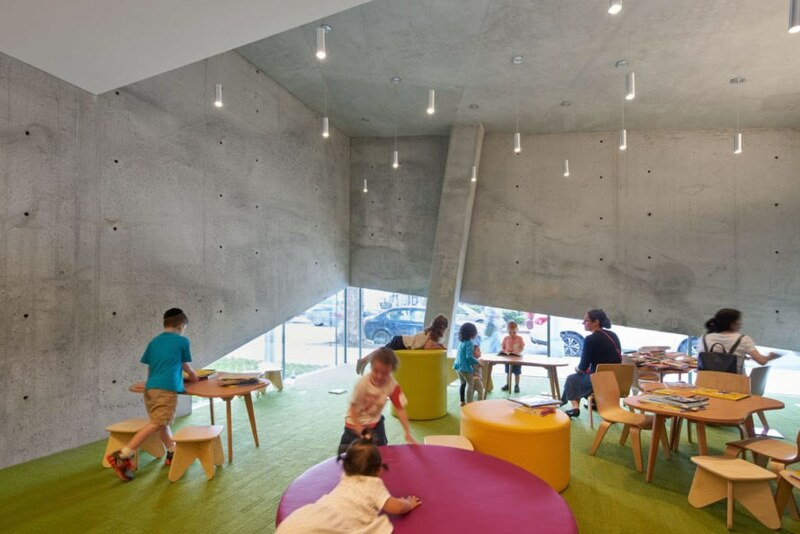 “The new façade is a physical and metaphoric lifting up of the library’s exterior walls in order to broadcast the activities of the library to the outside.” From the glazed corner, the angular facade begins its descent to provide privacy at the staff and book drop areas behind before tilting upwards to form a second, smaller peak at the children’s corner for “child-sized views” to the south. The facade also dips down on the north side for privacy in the teen study area. The library opened to the public on September 6. 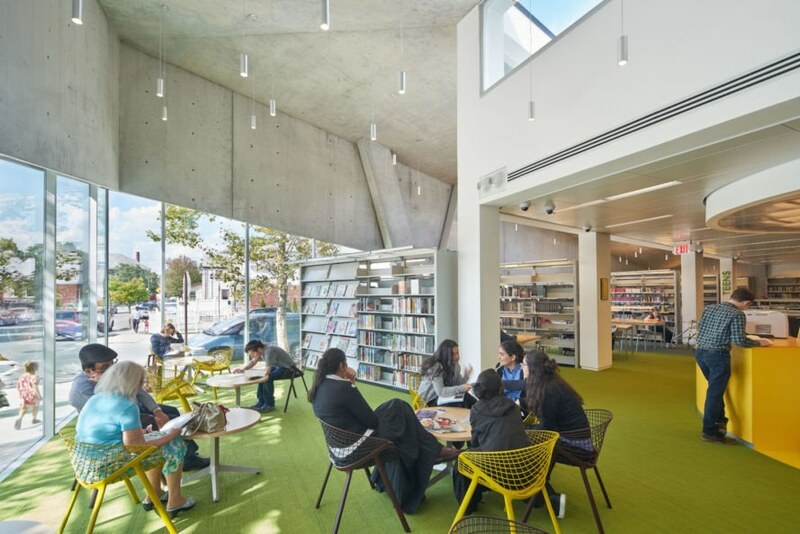 The new 10,000-square-foot Kew Gardens Hill Library is a renovation and 3,000-square-foot expansion of the 1966 Lindsey Library. 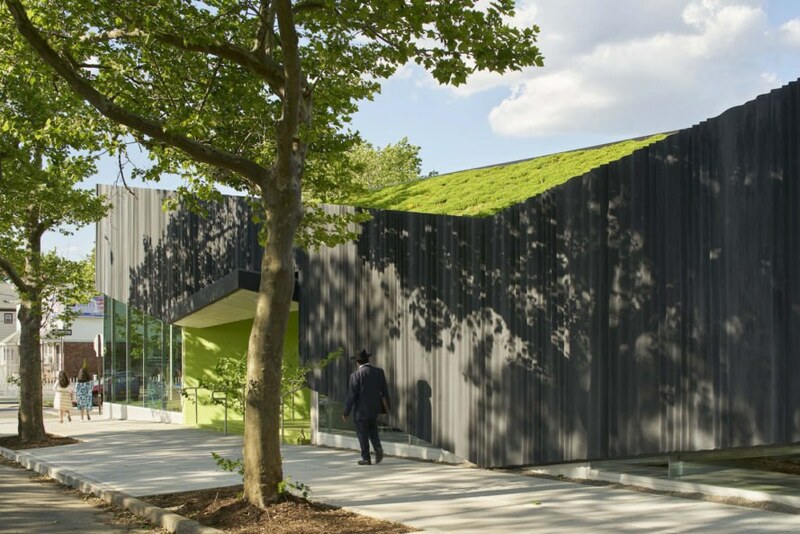 Custom glass fiber-reinforced concrete panels that clad the facade are molded into a rippled pattern of vertical folds. The curtain-like panels appear to be lifted up on the north corner of the building, where large exterior windows let in ample amounts of natural light and beckon passersby indoors. 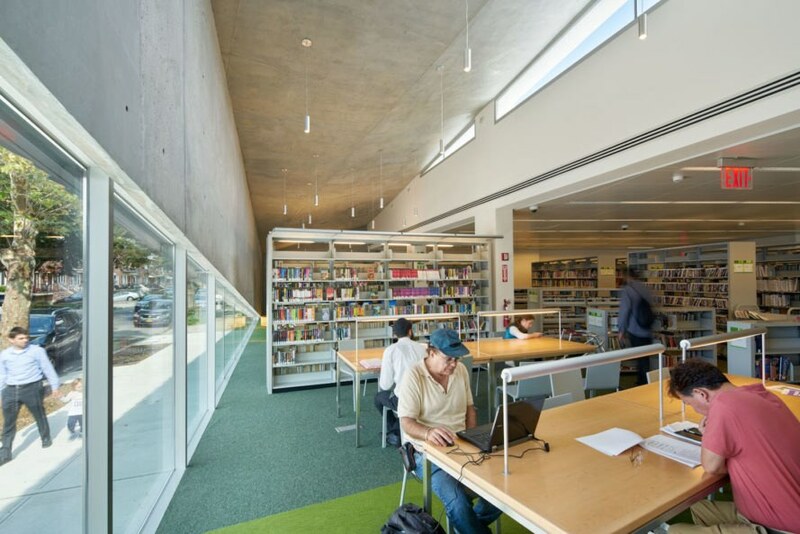 The concrete is exposed indoors and reflects indirect light from the south- and east-facing clerestory windows. 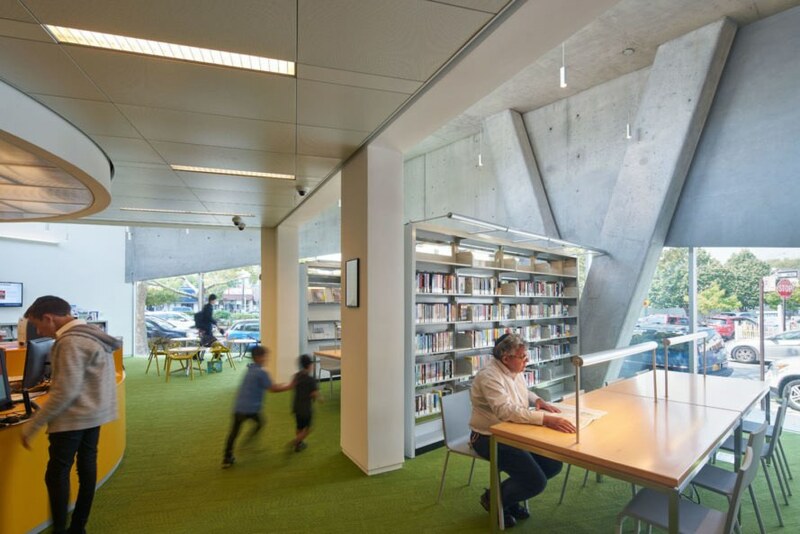 From the glazed corner, the angular facade begins its descent to provide privacy at the staff and book drop areas behind before tilting upwards to form a second, smaller peak at the children’s corner for “child-sized views” to the south.